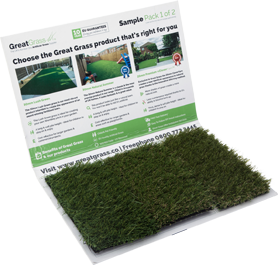 Great Grass is pleased to offer a series of products along with our amazing artificial grass; these products are designed specifically for commercial projects in mind. The fall absorbent shock pad is an ideal foundation for Great Grass’s artificial grass which is to be used in play areas – such as a climbing frames in schools and open houses, or sports playing pitches. Great Grass fall absorbent shock pad is designed specifically with Great Grass artificial grass in mind, using an open flake structure provides effective drainage of ground water to provide correct drainage for your surface to ensure a quickly dried surface; even after a heavy downpour of rain. Great Grass fall absorbent shock pad have been specifically designed for injury reduction; the density, thickness and composition of the pad has been calculated to specifically reduce injuries.